Wayne Rooney says it is a "huge honour" to be granted a farewell appearance for England, and that it will be his chance "to say thank you to the fans". The 33-year-old DC United forward, who is England's record goalscorer, will play some part in the game against the United States at Wembley on Thursday. "I don't know how much I'm going to play," he told his club's website. "I'll speak to [manager] Gareth Southgate and whatever he wants me to play I'm happy to. It's Gareth's call." Thursday's game, now called 'The Wayne Rooney Foundation international', will honour the striker and his charity. He will come on as a second-half substitute, and will not captain the side or wear the number 10 shirt. 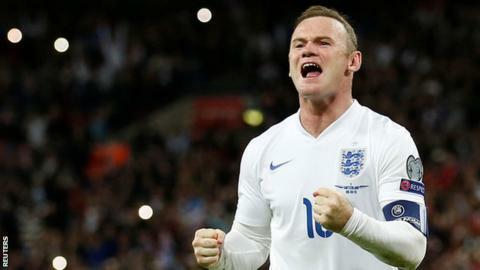 Rooney has scored 53 goals in 119 England appearances and last played for his country against Scotland in November 2016. "It's a huge honour for the Football Association to grant me this game," he said. "It's an important game because there will be money raised for children's charities. "To play and be involved in the squad, see some old team-mates and Gareth Southgate, and some of the coaching staff, will be a great moment. "To pull on the England jersey again in front of the fans will be a way of me to say thank you for the support they've shown me over my time playing for England."